Letter stickers and cheerleader stickers were purchased from my Creative Memories consultant. 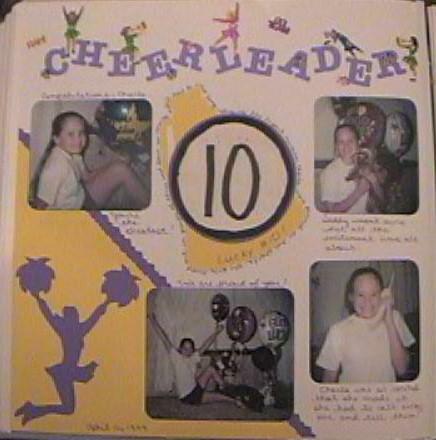 The megaphone and cheerleader diecuts were purchased at Michael's. The original title idea is from a Creative Memories handout and was modified to suit my layout. This is one of my favorite layouts!